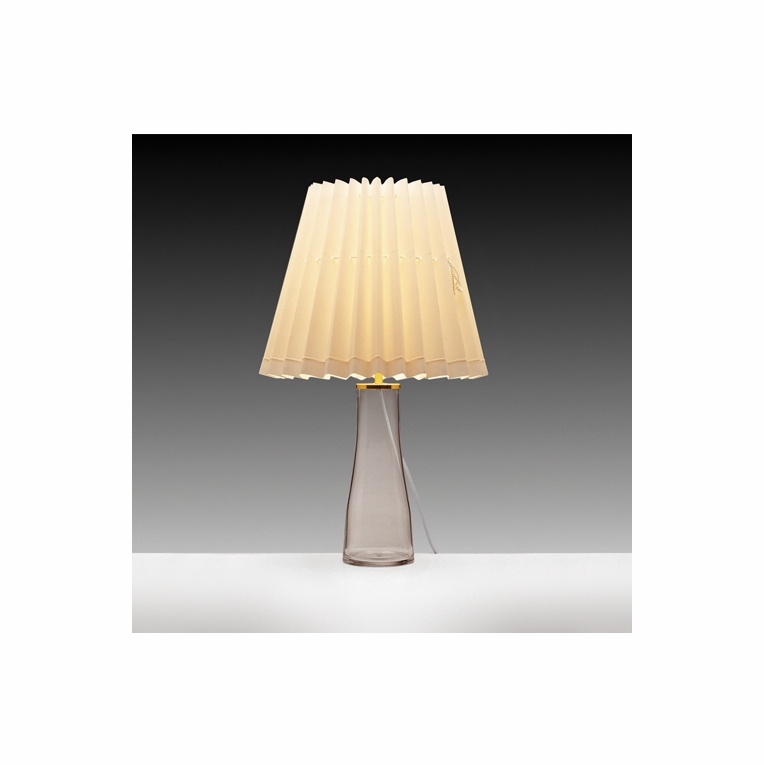 A handmade, pleated paper shade, clear mouth-blown glass base, and brass trim complete Maire Gullichsen's classic table lamp. A softer design from Artek, the slender shape and delicate materials allow this lamp to add subtle elegance to any surface which it sits upon. Switch located on the 6 foot, white plastic cord.Please review our Shipping Information page before ordering. Payment: 50% will be charged at time of order, remainder will be charged at time of shipment.